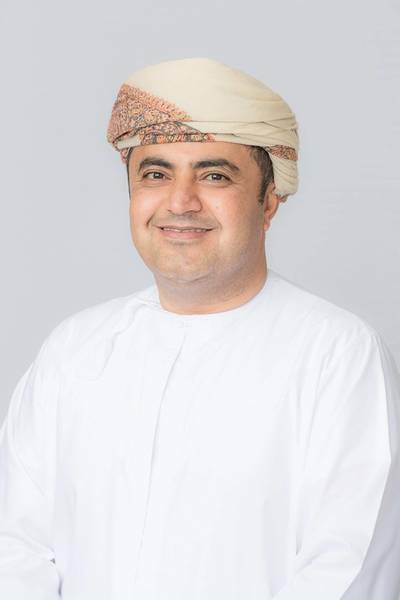 Said bin Homoud Al Maawali, CEO, Oman Drydock Company (ODC) means business when he aims to triple revenue by 2021, but it’s anything but business-as-usual at ODC. A neophyte to the shipyard world, he is a veteran business man with a long resume in multiple industries, a turnaround specialist. He sees potential at ODC, but bigger picture, he sees the shipyard as a means to help Oman broaden its business and revenues outside of the traditional energy industry. As the global shipbuilding community shakes off a historic slump, new thinking is creeping into a space steeped in tradition. Oman Drydock’s new CEO has not only been on the job for just five months, he’s been in a shipyard for five months. But he is the face of a new generation of leaders that are intent on dispatching with the business-as-usual model. He comes to the job with little shipyard experience, but a wealth of business and leadership experience, having led companies or served on the board of a broad swath of companies, from oil and gas to manufacturing to mining to finance. “It is a big challenge (to turn around Oman Drydock) but I (and the shareholders) think there is a lot of potential here,” he said during a recent interview in Athens. His goal to triple the shipyard’s revenue in just three years is bold, but his logic is sound as his priority is to broaden the company from three revenue streams to 11. Along the way he is intent on modernizing business and production practices; making the company lean with a reduction of direct employees and an increase in expert contractors and subcontractors; and building global alliances with organizations that can help it attain its strategic goals. Perhaps most significantly, ODC will enter the new ship construction market. “Our shipyard has the capability and capacity to deliver small units such as OSVs, tugs and barges to the worldwide ship building market. We have a plan and the demand is there,” he said. The plan is to start small and grow with investment and strategic alliances, catching the industry’s next upswing. “Anyone out there that would like to come and work with us to help start our newbuild program, contact us,” he said. 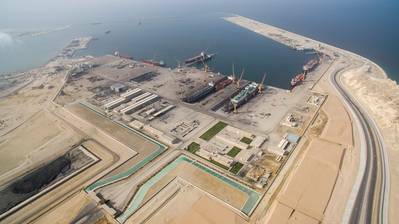 ODC’s facility is located in Duqm, on Oman’s Indian Ocean coastline, and the yard covers an area of more than 2.4 million square meters. Today it has two ULCC size graving docks (410m x 95m and 410m x 80m), five quays, with a total of 2,800m of alongside berthage with water depths of between 9 and 10 meters, and 14 jib cranes with lifting capacities of between 40 and 100 ton. Its five workshops cover outfitting, electrical works, machinery, hulls, blasting and painting, and a cryogenics clean room for LNG tanker repair work. Oman Drydock in Duqm, on Oman's Indian Ocean Coastline. Photo: ODCThere is an 80,000 DWT floating dock in the plans, pending a funding approval expected in September. Funding or not, however, Al Maawali said that it is a top priority, and “by hook or crook we’re doing it this year.”Additional areas of investment are familiar to any shipyard, and on the plan are additional lifting capacity courtesy of a 3,000 ton floating crane; a winch system to make the drydocks safer and more efficient; hydro-blasting equipment to add to the yard’s repertoire of blasting and painting work; and an investment in the overall processes of the yard, helping to get ships in and out more efficiently. But the investment being made that transcends cash is the investment in partnerships and alliances with major OEMs and expert partners, as he wants to attract the ABB’s and the Wärtsilä’s of the maritime world to come to Duqm to set up shop, all a part of the master plan to broaden revenue streams while streamlining the internal ODC team. With room to spare, Al Maawali said the yard will even look to act as landlord, allowing outside companies to come in and set-up shop to complete jobs. The ODC plan is indicative of growth in the region, specifically the growth of Duqm, Oman, an area that is going to have a new refinery, a new oil tank farm, a new desalination and power plant, three combined projects worth $8.5 billion, as well as a new gas-to-liquid plant and a new chemical plant representing another $4 billion in investment. But the investment doesn’t stop in heavy machinery and industrial operations, as there is simultaneous investments in hotels, entertainment and a variety of life-style projects, all geared to ensure that ship owners, seafarers and related personnel are comfortable in Duqm for the duration of a project. The mantra from the top of ODC is efficiency of operation and maximizing the value of its assets. To enact the plan Said has installed a new executive and management team, tapping executives with vast shipyard and business skills from around the globe. He has created a ‘transformation department’ which is designed to exist for three years to help plan and act. Apart from investment in physical facilities, ODC is on the path toward adopting LEAN manufacturing processes. And ‘lean’ is the keyword when it comes to personnel, as well. Today total ODC employment is a 70/30 split among own-employees/contractors. The plan for 2021 is to flip that to a 40/60 split. ” We have to bring in experts, and we have to stay lean as an organization,” he said. While Said bin Homoud Al Maawali and his management team have plenty of work ahead, he see’s the success of ODC as bigger than simply creating a healthy balance sheet. “This is an industry that will help the country wean itself from its dependence on oil. Personally, I believe in it a lot. It’s an industry that needs a lot of good energy,” which he and his team are planning to deliver.